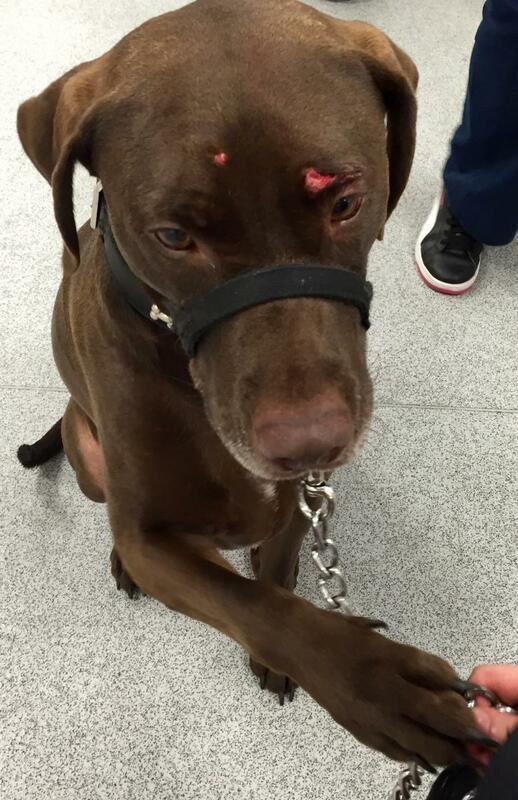 This is Jake, who was brought into The Vet Liverpool by his very upset owners. His owner had picked her son up from school, come home and let Jake out in the garden. After a few minutes sniffing around the garden Jake came back into the house with a large cut and a couple of smaller cuts above his eyes. She immediately brought him to The Vet as the cut did look deep. 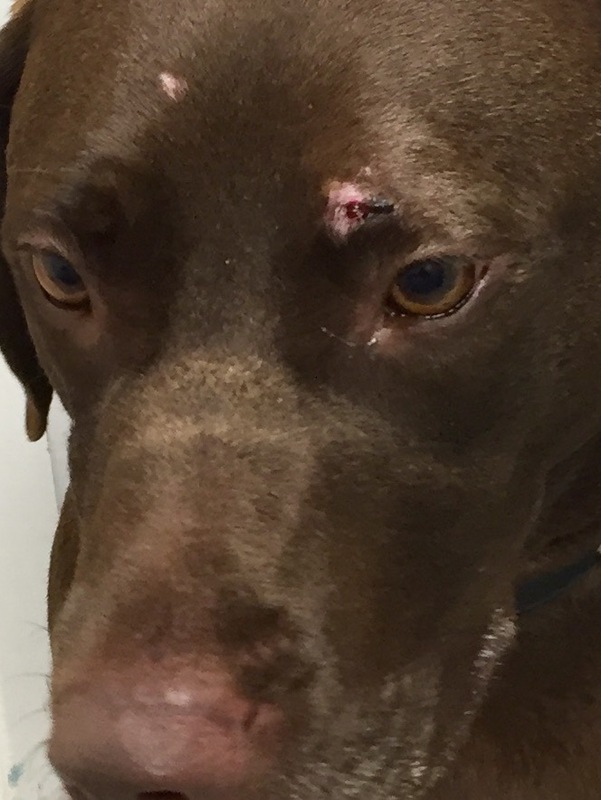 Jake was seen by our Vet Amber, his wounds were cleaned and it was decided that a staple would be the best way to ensure the wound closed and began to heal. His owner returned to us with Jake to have the staple removed and was very pleased that his beautiful face wasn’t too badly scarred! They are still totally unsure of what Jake could have cut himself on in their garden but feel he may have butted the fence trying to nose into the next door neighbors garden!